Meet the 11 teams that will travel the world on a global adventure for the new season of THE AMAZING RACE, premiering Sunday, September 30 (8:00-9:00 PM, ET/PT) on the CBS Television Network. Emmy Award nominee Phil Keoghan is the host. 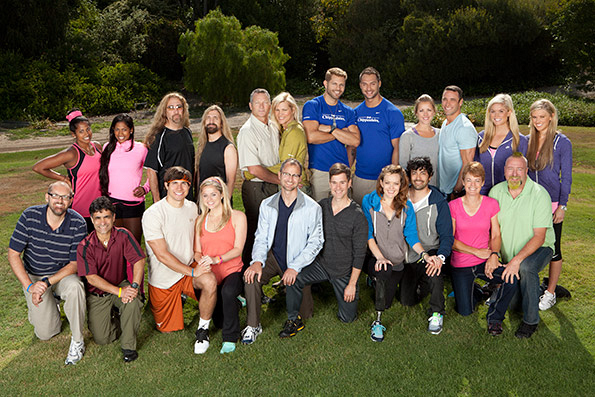 Pictured: Top Row, LtoR: Nadiya and Natalie, Mark and James, Rob and Sheila, Jaymes and James, Abbie and Ryan, Caitlin and Brittany; Bottom Row, LtoR: Gary and Will, Trey and Lexi, Josh and Brent, Amy and Daniel, Kelley and Rob Photo: Cliff Lipson/CBS ©2012 CBS Broadcasting Inc. All Rights Reserved.